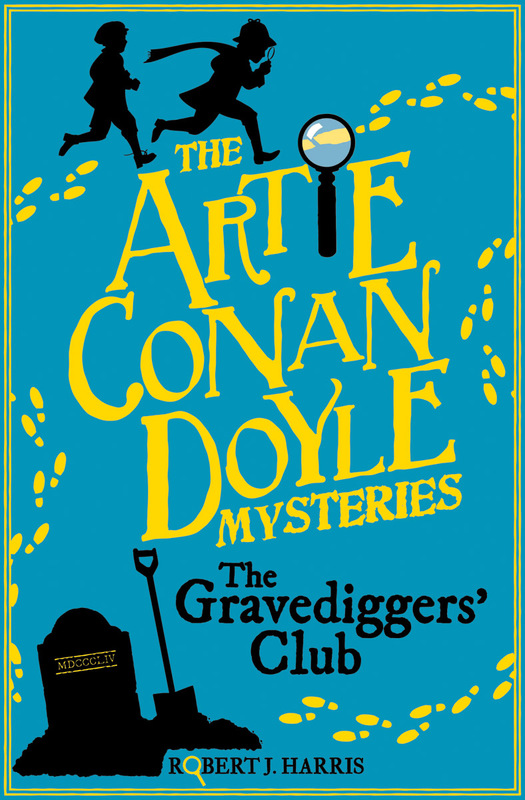 Before the world meets Sherlock Homes, twelve-year-old Artie Conan Doyle has his own mysteries to solve. Will Artie survive encounters with graveyards, hounds and ghosts in foggy Edinburgh? Or will his first case be his last? One day Arthur Conan Doyle will create the greatest detective of all -- Sherlock Holmes. 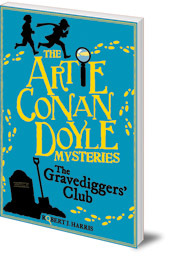 But right now Artie Conan Doyle is a twelve-year-old Edinburgh schoolboy with a mystery of his own to solve. While sneaking out to explore Greyfriars Kirkyard by night, Artie and his best friend Ham spot a ghostly lady in grey and discover the footprints of a gigantic hound. Could the two mysteries be connected? These strange clues lead them to a series of robberies carried out by the sinister Gravediggers' Club and soon they find themselves pitted against the villainous Colonel Braxton Dash. Will Artie survive his encounters with graveyards and ghosts in the foggy streets of nineteenth century Edinburgh -- or will his first case be his last? Robert J. Harris, author of The World's Gone Loki series and William Shakespeare and the Pirate's Fire, brings the young Conan Doyle to life in this ingenious detective story full of twists, turns and clever reveals. Robert J. Harris was born in Dundee and now lives in St Andrews with his wife, sons and his dog. He is the author of many children's books, including Will Shakespeare and the Pirate's Fire, Leonardo and the Death Machine and zany Norse-god trilogy The World's Gone Loki!.